God, being a “relational” entity, created us so that we need one another. As I read believers’ blogs these days, I’m struck by the variations in style, doctrine, authoritative “voice” and expression of humility. Some bloggers just write to share their thoughts. Others demonstrate a divine teaching gift that is clearly sourced in the Spirit. Still others, seemingly, write from a position of belief that they have all the right answers—and they are appointed to set everyone else straight! When taken together, most of the blogs I follow regularly represent the multifaceted Body of Christ, with it’s variety of grace-gifts, a glorious panorama of edification, as “each one” brings a portion for the benefit of the whole. Unfortunately, just as in any local body of connected believers, there will also be some weakness posing as strength and some flesh posing as spiritual insight. It becomes so vitally important that we all realize none of us have a monopoly on truth. No matter how brilliant we are in our writing or how “true” the truths we present, there has never been and never will be a “perfect” formula wherein one or some have ALL the truth. What I’ve witnessed over the past months: some people with genuine teaching gifts that were being put to use edifying others have allowed something “other”—pride, offense, strong disagreement…I don’t know WHAT the cause, but it comes from the flesh, I feel sure—to use their abilities from what is clearly their own “platform” rather than from a position of abiding in the Vine, hearing the instruction of the Spirit and acting on it in a servant-like and mutually submitted manner. There were already enough self-appointed “online discernment ministers” on the internet on a mission to refute and condemn everyone outside their own “circles”. When you write from a need to vindicate your own opinion, view, understanding or pet teaching, those of us with a gift of discernment will see through it. If it comes from Christ and will point your brothers and sisters TO the heart of Christ, it will be all about “building up”…not about countering the “wrong” position of a brother. It won’t be about defending yourself or your position against their attacks and errors, if such things exist. Jesus didn’t call you to argue with others—even if they are flat wrong! He called you to take up the cross and follow Him. Period. James the Just offered a stern warning about teachers being held to a higher standard, and I’ve been reading a lot of teaching that presumes to correct others…all the while, the writer is obviously ignoring many of the various scripture verses he uses to support his “correct” teaching. Just an observation: prophet-teachers seem to intuitively understand this better than those whose APEST assessment I would predict to be some combination of teacher/evangelist or shepherd/teacher (see Alan Hirsch & Tim Catchim: The Permanent Revolution: Apostolic Imagination and Practice for the 21st Century). Those in whom I discern a high prophetic gift rarely resort to any sort of self-vindication. They consistently and humbly keep pointing to and calling the flock back to those things that are of and about Christ alone. Correction can only be properly offered in the context of relationship. The NT teachings about correction are concerned with interactions between believers who have a face-to-face connection…a relationship where proximity alone, if genuine love is present, will enable them to work through their differences together as they learn to live well together in Christ. This is how the Spirit keeps error out of the local body and keeps the community of believers centered on the Headship of Christ. The internet can be a wonderful means of expanding communication among the people of God, but it’s not necessarily the right place to “correct” your brother. There’s a lot of talk these days about contacting someone (by phone, email, private message) before you write about what he (or she) has written, said, or taught BEFORE you air your differences publicly. Most of the time what I read in the argumentative, self-promoting tirades that have been hitting cyberspace, is expressed as “Well, I wrote so-and-so, but he didn’t answer me, so here goes..anyway”. My thought: “here goes” shouldn’t happen whether or not you DO contact the person, and they do or do not respond. To be honest, is it any wonder someone didn’t “respond” to someone who does that sort of thing? I credit the Holy Spirit for giving the targets of these attacks the grace NOT to respond to challenges from certain people and to just keep presenting the messages they’ve been given—which, for the most part, in my opinion, stand quite soundly on the merits of the messages themselves! Seriously…and here’s the heart of my “rant”…if you’ve got something to share that will really build up the body, it can and must be done in a way that it stands on it’s own merit. Not because it sets a particular erring brother straight. Not because you can support it with proof-texts. Not because you’re right and others are wrong. And NOT because YOU say so, but because your writing really is being fed by the Holy Spirit and is coming from a submitted heart. Anything less will cause someone to stumble (which is especially egregious when you haven’t considered you may have already stumbled yourself and now you subconsciously need a not-so- subtle way to transfer blame). Perhaps you’ve caused ME to stumble as I evaluate where your heart is as you write to make an argument against your brother! Gee…thanks for THAT! 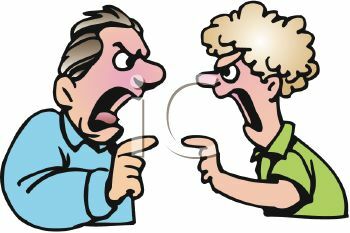 It saddens me deeply that several writers who have extensive knowledge and wisdom to share with the Body of Christ seem to have fallen into a contest of one-up-manship…even to the point of arguing publicly in every forum, at every opportunity. I’ve seen links to their own blogs shamelessly posted in inappropriate places… “Well, he’s wrong BECAUSE I say so! Here, read and see the authority with which I expound truths which destroy my brother’s piece of this puzzle!” And the boasting: “I’m right because my blog is popular or rated in the top ‘x’ blogs”. I’ve seen the subjects of attacks “tagged” on Facebook so that the attack appears on their own page (if their security settings permit). I’ve seen what appears to be “offense-taken” turn into “revenge-but-no-offense-intended” rebukes that take the focus off Christ Jesus and put it squarely onto vindication-seeking flesh. For this reason, I have stopped following a number of blogs and even deleted several bloggers I used to enjoy reading from my “friends list”. I’ve stopped reading their “tweets”. I’m not mad at them. I haven’t stopped loving them or praying for them. But I’ll never have a context of face-to-face relationship with these writers. They will never know me in the fullness of my expression of Christ—as I would know them if we were literally walking together on this journey. The context for truly “growing up together” into His likeness just doesn’t exist. And the context of relationship online, which can and often is edifying when believers strive for mutual-submission—has been ruined by something that comes across (to me) as anything but. I don’t need to read things that make me feel sorry for the Body of Christ that they were written. I don’t need to read things that don’t build up, encourage, challenge or inspire. When I read something and come away with a feeling it was actually about something “other than Christ”—or at the very least, if I don’t come away with a feeling it was born of sincere (no ego agenda) desire to redirect us to the ways of Christ (as in critical deconstruction/alternative practices that will bring us back to His original design for His Church)— there’s a problem. I am not going to argue. I don’t have to explain when they misunderstand a comment I’ve made or a post I’ve shared or a blog I’ve written. I’ll let them have their last word…even if they are tearing down rather than building up. I can—and I am going to—walk away…in the direction Christ— not my pride, my ego or my human need to somehow be “right”—leads me. You see, it’s impossible to ever get someone who believes he or she is always right to “listen”. You will always be wrong. They will always be right. Love is absent. Relationship such as that for which God created us becomes impossible in that context. For this reason, I am learning to simply distance myself from people who sow and perpetuate dissension. They can have the most “correct” understanding of scripture. They can have the most obvious teaching gift and use it with persuasion, authority and power. But, where self-vindication and proving oneself “right” overpowers mutual submission and love, it doesn’t matter. The effect of this indulgence in self-vindication and “always right” attitude? It has totally discredited (for me) what might be the truly worthy things these people wrote in the past…and it’s a poor testimony of Christ in the eyes of the unsaved. I don’t care if what you’re saying is true and you can back it up with scripture if what you are DOING (unto a brother) is something I can’t reconcile with scripture or the heart of Christ, according to the witness of the indwelling Spirit. You can be “right” all day long and you’re still wrong. What saddens me most of all is the knowledge that if these individuals were to read what I’m writing right now, they would…without even realizing it…want to rebuke me. They’ll probably write a blog post to show how I’ve misjudged their motives and their hearts (like they have perhaps misjudged me at some point? )…but all I’ve really done is come out and say—very transparently, and without naming names or providing quotes—what I think of the FRUIT I’m seeing in their writing. Someone will disregard the fact that there are billions of blogs, any of which on a given day aren’t bearing the best possible fruit, and respond to my steel-toed boots with a personalized response that doesn’t overtly admit their toes have been stepped on—and repentance for possibly causing me or others to stumble won’t even be on the table. If my friends “share” this blog, someone is going to pop up and expose himself for what he is. Just watch. I’m willing to take a risk right now, just writing these thoughts, because the Church needs those who will issue the prophetic call for corporate repentance. People who know me and HAVE walked with me will tell you, I’m one of those whether I want to be or not. So, besides this being a rant, it turns out to be a call for my fellow-bloggers to repent. Let’s seek Him and try to deny “self” when we write. We can’t write for Him and have our readers come away with a message about us—or even about the “error” of our brother or sister. If we really have a message that sets “error” on end, everyone who reads it should come away edified with a piece of “truth” that tastes of, smells of, sounds like and looks like “Christ”. I am not always right. I am not the most gifted teacher. I am not the best writer. But I’m very comfortable in my place of total dependence on the Lord. I’m soooo down with admitting I’m not an “authority” on anything! I’m learning not to fear His gifts but to reverence the Giver. I love His Body, the brethren…church, ekklesia…whatever word people prefer. But I don’t love some of the things some members of the body have been writing about and “at” one another. I’m not going to start doing what they are doing…calling them out by name, quoting them, sneering at the words or phrases they coin to express their ideas and the insights they have been given according to whatever measure of grace and wisdom He has provided. Enough already. I’m not going to take the bait and discuss my points of disagreement with these people. This rant is as far as I’ll ever take it and some will think I’ve gone too far. They are NOT always right and will never even understand that they love to distort what others say and argue more than they love to LOVE. They are going to continue comparing themselves with others in their blog in ways that make themselves look “right” and the others look “wrong”—and never see that they’ve made their point about something “other than” Christ Jesus. They are choosing to join “the ranks of the un-admired” and “un-favorited” strife-mongers in my list of sites not worth visiting, yet their following will grow among the undiscerning, who will stumble in turn as their ill-opinion of another will be unjustly shaped by what the “authority” has dispensed. Here’s the thing: what goes around comes around. You’re going to get back what you serve up to others. And that will be your real contribution to “edifying” the body—a contribution to the negative reputation “Christians” have for being argumentative, intolerant and factional. Gee…thanks for THAT, too! A hater in sheep’s clothing (worse still a “shepherd’s” or “teacher’s” clothing!) using big words, perfect grammar, and Bible verses is still a hater—no matter what they “say” about “love”. Someone telling a brother to stop ignoring the plank in his eye before he tries to remove the speck in his other brother’s eye usually still has a whopper in his own…unless he’s Jesus. That person is NEVER going to be “wrong”…at least he’ll never SEE that he might be the one on the “low road”. “Christ is all” is “trustworthy and true.” I pray I never, ever forget that, even when my plank keeps me from seeing all of Him! Father, move me beyond this “rant”. Focus my thoughts on the holy things, the worthy things. Give me a teachable spirit, but also a certainty in your Word that is not easily swayed or undermined by teachers who aren’t “walking the talk”. Guide my actions and my interactions in such a way that others never see “me”, but only the blinding light of your Son, which hides me. Let those who are more mature than me deal with me in a spirit of forgiveness and forbearance, that I might grow increasingly according to your grace. Let those who have grown in you for a shorter period of time than I find no stumbling block in my words or in my deeds, that they might surpass me in discipleship and disciple-making. If you give my brother or sister a piece of the puzzle, don’t let me discard it thoughtlessly because I don’t see at the moment that it fits, or how it fits. Help me take the time to suggest we seek you together, so that the picture will come into focus more clearly. Help me walk away from people who could cause me to stumble into arguments. Teach me to see the stumbling block and avoid the argument when I can’t just walk away. Help me understand that they are also on this journey—answerable only to you and not to me. I don’t want to be “influential”, but if something I say, do, or write has any influence on someone else, then please let it be for building up, not tearing down! In all things, Father, help me keep the “main thing the main thing”, so that together, those with whom I walk may grow up into the likeness of Him who is our Savior and our example. Amen. Wow, Cathy. I am humbled and blessed as I read your comment. Apparently there are more of “us” out there than any of us even imagine. Yes, it seems those who want to be seen as “spiritually mature”–who may in fact BE so–are apt to stumble and make assumptions about the maturity of other believers that miss the mark. This has actually happened to me many times, but somehow, Father gives me more and more grace to see it for what it is and refuse to be baited. And he has blessed me with far more brothers and sisters who recognized that we are all–male or female–“fellow-followers” together, truly equal as joint heirs with Christ. I am pleased to know you are one of them. He IS doing a new thing. Those with eyes to see and ears to hear rejoice! love the humility sis and spot on! It really is mind-boggling how viciously believers can turn on and attack other believers on the internet. I have to wonder if they were standing face-to-face, if they would use the same words and attitude …??? Scripture is not given for us to beat others up with, or to justify our own point of view or doctrinal stance. I’ve met some wonderful believers online. I’ve also been rejected and cast-off by the same. We are all too familiar with our fallen human nature, but we are learning (HAVE TO! ), being taught, how to stop leaning on ‘what we think,’ and ‘our interpretation’… I remember a saying I’ve heard down through the years, “Let go and let God.’ Well, that’s easier said than done. Our flesh (emotions and reasoning mind) get in the way and taint things of the Spirit. I also have been so surprised recently to discover blogs like yours and Bobby Auner’s. It seemed that everyone I had fellow-shipped on line with for the past several years dropped away or severed contact, and for a while it was very quiet. But of late I’ve just found one after another, where their hearts are exposed, and they are promoting Jesus Christ and not some doctrine or themselves and their ‘ministry.’ It’s not about me or you, it has to be ALL about Jesus. Who are we exalting? Who are we lifting up? Which is really pretty scary when you consider that we will be judged as we mete out judgment, and we will be forgiven as we forgive others. Truly it is written that ‘knowledge puffeth up, but love edifieth.’ There is something very wrong when we have to tear someone else down in order to make our point. When Jesus said, ‘there is none good but God,’ that should give us pause. Who do we think we are? We aren’t even walking on water, yet we freely dispense our judgments on others? I don’t think so. Maybe I can come over here when I need to vent, lol. Praise God! That He loves us and patiently deals with us is even more mind-boggling than how hatefully we behave towards one another at times. Cathy, your sharing is so candid and authentic…and such a breath of fresh air. Thanks for mentioning Bobby Auner’s blog (Deconstructing Never Land http://bobbyauner.blogspot.com/.) He is a precious friend of mine, a “younger brother” who is wise beyond his years! Your blog/post today is a breath of His life. I believe that what you have said is needful to the Body of Christ (the eclesia). Your words are full of hope, full of grace, and restorative. Bless you for your Spirit-breathed words. Thank you, Craig! Praying for “face-to-face” time with you guys SOON! Thank so much for sharing. This is not an easy problem to address without becoming part of the problem. I think you have done an excellent job of moving things in the right direction here in cyberspace. On behalf of the stewardship of cyberspace I would like to add that even in the days of the new testament writings correction was not always “face to face.” Written communication can be very powerful provided it is undergirded or over girded by the Spirit. Where the Spirit is not present there is no edification of Christ. Jay, thank you so much for taking time to read. such a humble honor to have you comment. This has been on my mind for weeks and my concern is as great for those who tear down as for those who are torn. I regret not making that clearer. Yes, you are absolutely correct that written communication was very powerful in the days when the brethren had no other means to speak with one another over long distances. We can only presume that the the written letters were carried and at times explained by trusted emissaries. But we can take for granted that the Lord himself provided everything that was needed to protect and guide His own. He still does. He still will…if we have eyes to see and ears to hear. Bless you, beloved friend. PSS..after all I’m reminded that there are indeed “wolves in sheeps clothing” and many of them are very literate! Yes George…literate, charming and able to quote you chapter and verse. How the Accuser of the brethren must dance with glee when we stop listening to one another and become sole disciplinarians! Greetings to Nancy! What you have shared today is so timely and on. Thank You So Much! Thank you for letting me know you feel that way, Jeffrey. As I shared with Jay, I have struggled with this matter for quite awhile and, to be honest, I felt no small amount of trepidation in the undertaking. That burning in the bones…Perhaps, next time He will refine and temper my “rant” or give me something so fair I need not rant at all. I love to write of sweeter things.